An exhibition of paintings, drawings and autobiographical ephemera paired with in-depth psychoanalytic interpretation. Dr Grace Pailthorpe (surgeon/psychoanalyst/artist, 1883-1971) and Reuben Mednikoff (artist, 1906-1972) began collaborating in 1935. 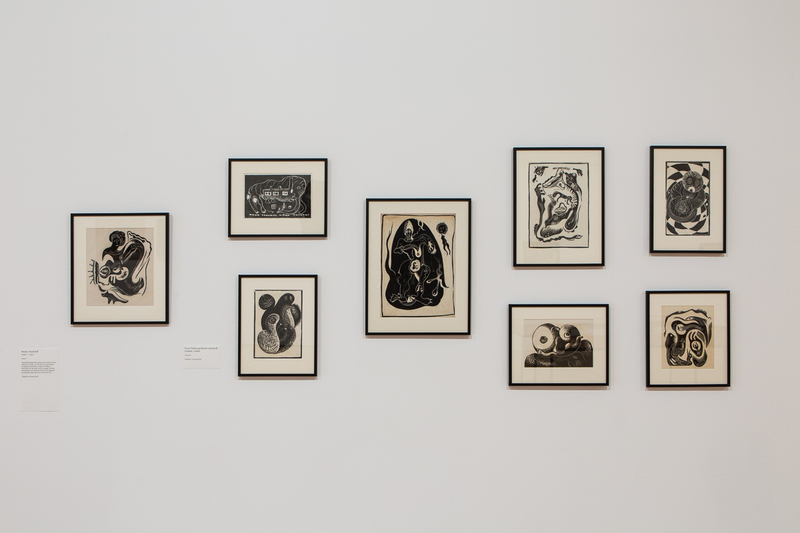 From that year until their deaths, they produced a huge body of work that included startlingly vivid and wildly experimental paintings and drawings, often paired with in-depth psychoanalytic interpretation, as well as autobiography, poetry and short stories. They spent decades of their lives researching how the visual and literary arts might liberate individuals and societies from the constraints that sickened and impoverished them, together developing a creative process that combined Surrealism with psychoanalysis, bringing artistic and scientific thinking together. The work of Pailthorpe and Mednikoff is still relatively unknown, and A Tale of Mother’s Bones will be the most significant presentation of their work in almost 20 years. Drawing on original archival research, it will tell the story of the couple’s lives through their works, showing how they excavated their earliest memories (including memories of birth) in order to understand their adult relationships, critical reception, political context, and spiritual beliefs. The exhibition will reinstate the couple within the artistic and intellectual histories they contributed to, and will reveal a new term developed by the pair: Psychorealism. Listen to personal responses to the exhibition, recorded with toddlers who attend early years activities at the De La Warr Pavilion here. Listen to the lectures that appear in the gallery here: Anatomy of Space, Lantern Slide Lecture, and Come Back Soon, Lantern Slide Lecture. Read Matthew Kerr’s review of the exhibition in Apollo Magazine here, Ellen Mara De Wachter’s Frieze article here, and Philomena Epps’ art agenda article here. 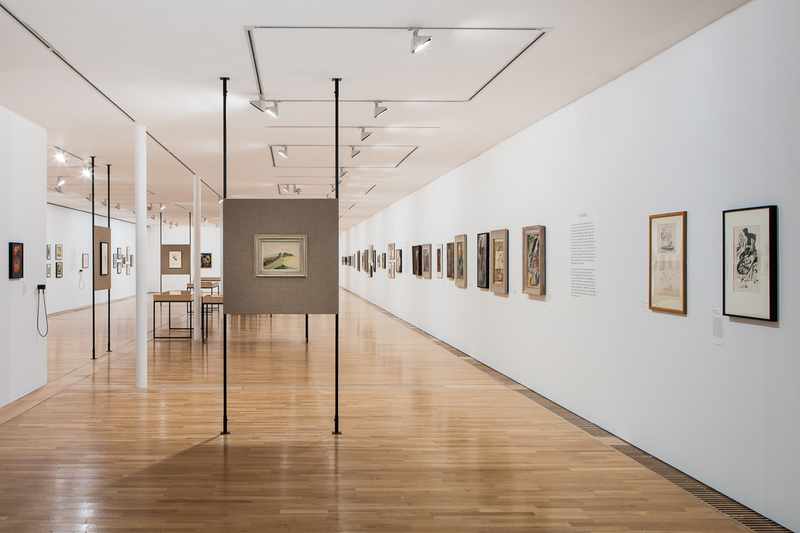 The exhibition brings together painting, drawing, writing and biographical ephemera. It is curated by Dr Hope Wolf, Lecturer in Modernism and Co-Director of the Centre for Modernist Studies at the University of Sussex with Rosie Cooper, Head of Exhibitions at the De La Warr Pavilion, Martin Clark, Director, Camden Arts Centre, and Gina Buenfeld, Curator, Camden Arts Centre. 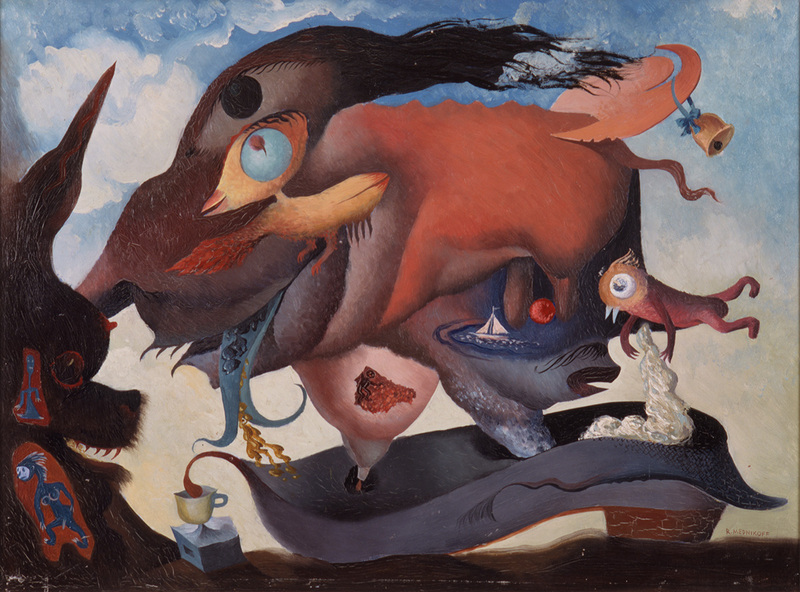 A Tale of Mother’s Bones: Grace Pailthorpe, Reuben Mednikoff and the Birth of Psychorealism, De La Warr Pavilion, 6 October 2018 – 20 January 2019, and Camden Arts Centre, 12 April – 23 June 2019. In 1935 Pailthorpe met Mednikoff, twenty-three years her junior. He was a trained artist and designer who had studied at St Martin’s School of Art. Shortly afterwards they moved to Port Isaac in Cornwall and began what became a life-long creative project. They also lived in the United States, Canada, London and finally Ninfield, four miles from the De La Warr Pavilion. The artists’ collaborative work drew on the training they undertook before meeting one another. Unusually for a woman of the period, Dr Grace Pailthorpe worked as a surgeon in the First World War. She went on to explore the mind rather than the body, training in psychoanalysis, conducting pioneering work into the psychology of women in prisons, and co-founding the Institute for the Scientific Treatment of Delinquency (from which branched the Portman Clinic, which still exists today). Not leaving her medical beginnings behind, Pailthorpe’s thinking about art reveals a preoccupation with ideas of illness and cure. She hoped that art would offer ‘a quicker way to the deeper layers of the unconscious than by the long drawn-out couch method’ of Sigmund Freud. She and Mednikoff were ‘guinea-pigs’ for her research; Pailthorpe was both patient and doctor. Psychoanalytic interpretations would be inscribed on the back of some of their drawings; paintings would be photographed and then annotated. Pailthorpe would devote extensive lectures to a chosen few works, offering intricate readings of their hidden messages. 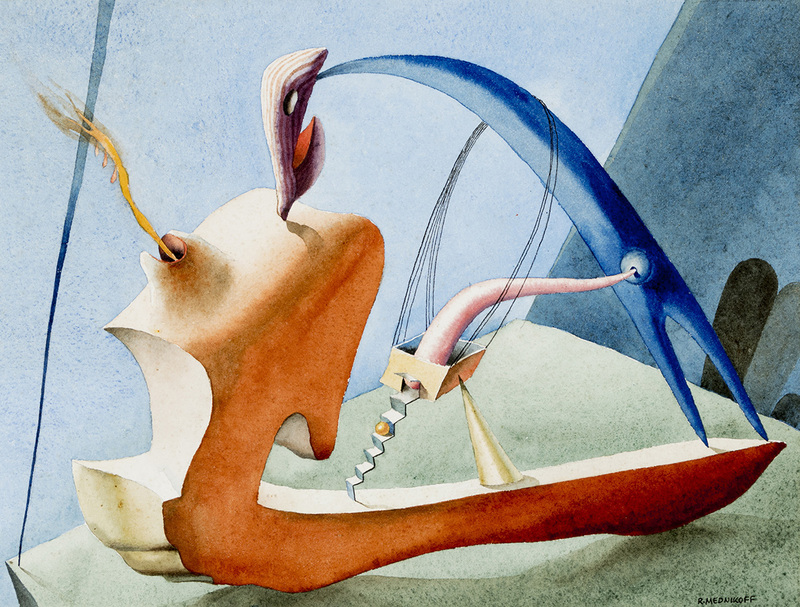 In 1938-9, she published The Scientific Aspect of Surrealism: an essay that makes the case that creating Surrealist art has the capacity to heal the individual, and achieve the ‘liberation of man’, by bringing unconscious memories into consciousness. 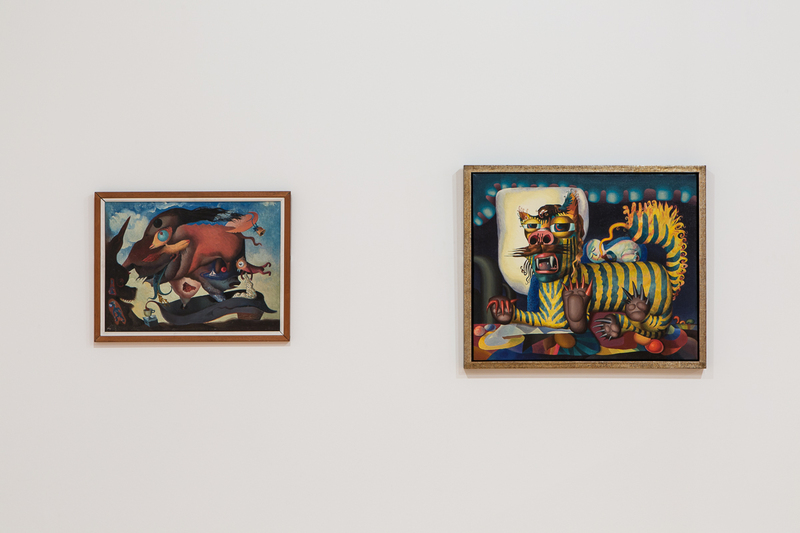 Pailthorpe and Mednikoff would later seek to distinguish their practice from more ‘destructive’ expressions of Surrealism and experimented with a new term: ‘psychorealism’. Pailthorpe would never publish Psychorealism: The Sluice Gate of the Emotions, a 53,000-word book that explained how her method might offer a way of stopping the kinds of political violence she and her generation had witnessed. ‘Hitler and Mussolini’, she wrote, ‘would never have become insanely dictatorial had they had, as children, ample opportunity to vent their infantile rages’. While Pailthorpe and Mednikoff never abandoned their interest in infancy and babyhood, in the final stages of their lives they began exploring Theosophy, Creative Meditation and Agni Yoga. 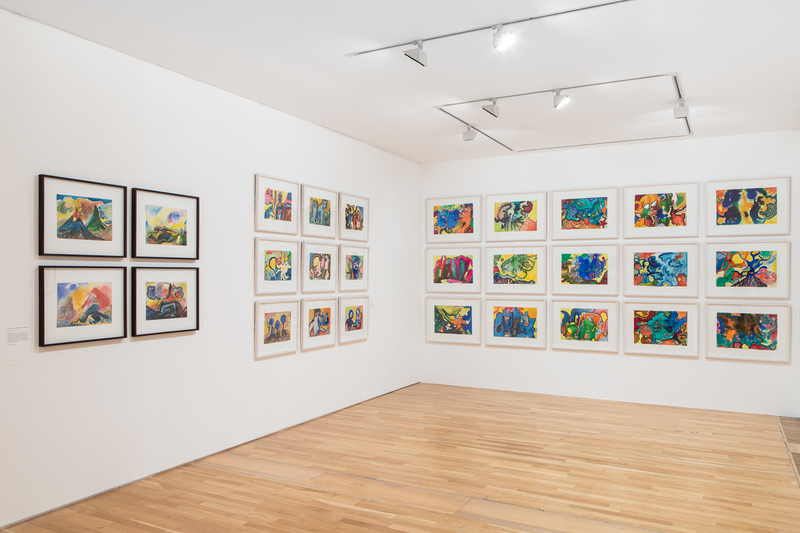 Pailthorpe continued making work well into her 80s, producing gloriously colourful watercolours. Mednikoff, who changed his name to Richard Pailthorpe in 1948, wrote fascinating reflections on his past lives. The couple died one year apart from one another in 1971 and 1972.